India has withstood many adversities over time and still we all have stood together in unison. There are numerous cultures, languages, traditions and customs yet we have always believed in unity in diversity. Nonetheless, there have been many events that have paved the way for different ideas of India and given rise to many controversies. Our country has multiplicity across various segments and a way forward is to keep the concord intact. From mass exodus of Kashmiri Pandits in the year 1990, the violence in Kashmir valley and inflicted dissent between Hindu and Muslim communities, to the current scenario of the nation, where one's patriotism is questioned at each and every step, the nation is going through significant political and social changes. 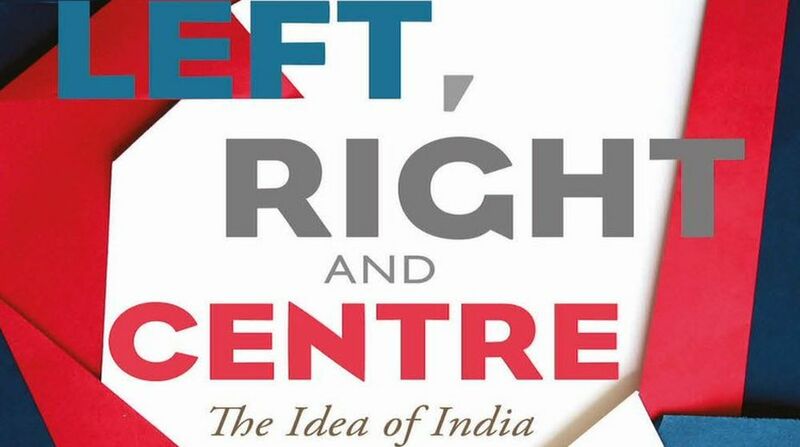 Highlighting these issues, Nidhi Razdan, a well-known television journalist, has made an attempt to bring to the fore our understanding of India, in the latest book titled Left, Right and Centre: The Idea of India, which is vital for today's time.This book deliberates upon a range of issues that are imperative at this time. In the wake of 70th year of India's Independence, this book, edited by Razdan, puts together the diverse views of our politicians, activists, artists and academicians, and offers their myriad ideas of our country in the contemporary time. "Today, the discourse about Kashmir has become part of the neo-nationalism of our times. We say Kashmir belongs to India and yet it is almost as if the rest of India has abandoned the Kashmiri people. There is no attempt to understand their alienation and pain. There is no political outreach. Today's 'nationalist' narrative has only increased the distance between New Delhi and Kashmir. Many Kashmiri Pandits, who have now spent 25 years in exile, want to return home but only if they will be safe. 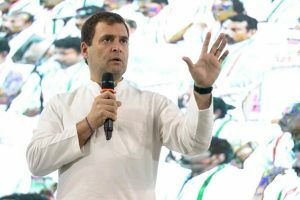 They aren't a big vote bank, so no government has seriously listened to their concerns or acted on them," Razdan writes. She forthrightly elucidates on the several phenomena that took place recently, such as judgement on standing up for the national anthem in movie halls, mob-lynching on bovine issues, attacks by vigilantes and many more, and also seeks to find out whether we are as a country heading towards the right direction. In this argumentative book, Razdan writes, "The chestthumping narrative on Kashmir is part of the larger nationalist narrative we are increasingly seeing in India. Today, you have to wear your patriotism on your sleeve.You have to wear it on social media, in television debates, even in the cinema. To question the government, the courts, the army is to be antinational. To differ is to be unpatriotic. It's my patriotism versus yours. In a country where there are reports of over 30 million cases pending before the courts, it is rather incredible that the Supreme Court had time to pronounce judgements on what constitutes their brand of nationalism." Besides, taking a clear dig at the current government and also on chanting slogans, the editor unabashedly pens down, "Strident nationalism and chants of 'Bharat Mata ki Jai' are now 'the new normal'. Worship of the cow is 'the new normal'. 'The new normal' is the new world of post truth or 'alternative facts'. To justify drowning out voices of dissent and disagreement by those who can shout louder. 'The new normal' is where the country's largest state is headed by a man whose claim to fame is a hardline Hindutva rhetoric, calling for 'take 100 Muslim girls for one Hindu girl they take'." Razdan raises pertinent questions that in a way open the door to multifaceted thinking rather than a one-way thinking. She sheds light on questions like, "Is India overshadowed by a monologue? Is there space for alternative views? Or, are we expected to fall in line? And speak in unison? Even after seventy years of independence is India an insecure nation? Do we feel easily threatened by dissent, by slogans because we are inherently insecure? India has weathered many storms and insurgencies in the past seventy years, but with all our problems and warts, we have largely remained a united, thriving, vibrant nation. But I wonder whether we are deeply insecure in our core." The compelling easy-tounderstand language and the book's significance to the current scenario of India make it an attention-grabbing read. In all there are 12 chapters that give insight into a variety of significant issues and each chapter critically analyses various facets of India. Eminent people like Yashwant Sinha, Derek O'Brien, Shashi Tharoor, Aruna Roy and Shabana Azmi have contributed to this book.